The Home Orchard Society will hold its annual All About Fruit Show on Saturday and Sunday, Oct. 21-22 at the Clackamas County Event Center in Canby. All About Fruit Show offers attendees hundreds of varieties of heirloom fruit to see and taste. Types of fruit include apples, pears, quince, grapes, kiwis, and much more. If you find a variety of fruit that you'd like to grow, you can place an order for a custom-grafted fruit tree. Bring your unknown apples for sleuthing by the Apple ID team. Heirloom fruit holds a special place of delight for those who have a passion for it. "Heirloom fruit is considered to be something that would have been in the public sphere more than 50 years ago," said Joanie Cooper, a Molalla resident and the HOS board president/treasurer. "It's important to not lose these heirloom varieties. They provide a terrific genetic base. As breeders go back and try different things, they find qualities that are important to the commercial and home growers. It's important to have this base. Heirloom fruit goes back hundreds of years. They are really special in the different qualities they have that you don't find in grocery store fruit." Local experts will present on a variety of fruit-growing topics throughout both days of the event. There's fun for the whole family with cider pressing demonstrations and door prizes. Mason bee supplies are available for sale, as well as fruit-growing publications, and many fruiting perennials. The show runs from 10 a.m. to 4 p.m. each day. Admission is $7 per person or $12 per family (HOS members pay $5 and $10) People who join the society at the door will be admitted free. The Home Orchard Society promotes the science, culture and pleasure of growing fruit at home via educational outreach and assistance. Home Orchard Society serves the Pacific Northwest community and beyond by providing accessible resources and hosting learning events for fruit growers of all skill levels. 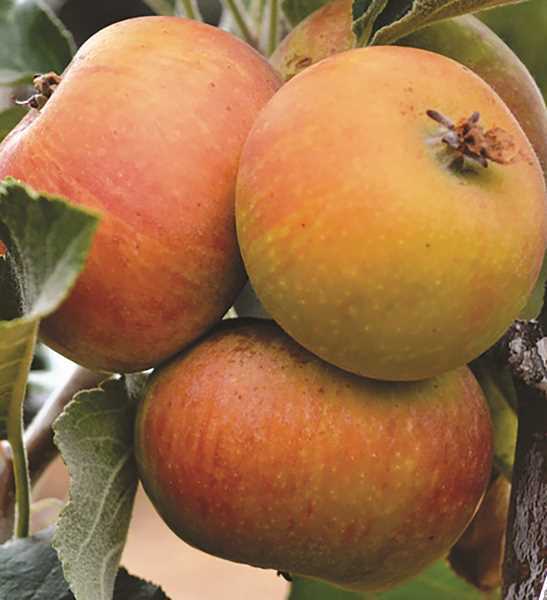 Home Orchard Society endeavors to preserve disappearing heirloom fruit varieties, perpetuating the history, culture and heritage of the Pacific NW's 19th and 20th century pioneer orchards. Cooper said the group has been having its event in Canby for seven or eight years, noting that the event center offers the kind of space the event needs. "The fairgrounds work really well for us," she said. "It's a wonderful event and people will love tasting all these unique fruits." The Home Orchard Society has been in existence since 1975.